RECAP: Benintendi, Lin, and Moreland Account for Eight Hits as #RedSox Squeak by Orioles in 3-1 Win. Going for their fifth straight series win, the Boston Red Sox took care of business against the Baltimore Orioles on Jackie Robinson Day. In the third installment of this four-game series, it was a battle of aces at a chilly Fenway Park today. Chris Sale, making his fourth start of the season, was matched up against the best starting pitcher on the Orioles roster, Dylan Bundy. Although he was effective, Sale’s pitch count limited him to just five innings pitched. In that span, the left hander out of Florida allowed just one run on two hits and two walks while fanning eight. Both hits and that one run came across the plate for the Orioles on a Manny Machado RBI double in the first. After that, Sale was nearly perfect, as he recorded seven of his eight strikeouts over the next four innings he appeared in. With his pitch count already at 93 through five innings, Sale’s day come to an end. Through his first four starts of the season, I have to say that I respect the approach the Red Sox have had with Chris Sale so far. He has yet to throw more than six innings or 93 pitches in any start. Conserving him, along with the rest of the rotation, could prove to be beneficial later in the season and into the postseason as well. Anyway, it was Heath Hembree who got the call for the top half of the sixth. While he did give up a leadoff single to Craig Gentry, Hembree settled down by retiring the next six batters he faced in the sixth and later on in the seventh. After that, Matt Barnes, who was doing his best to stay warm, tossed a nearly clean eighth inning, as he walked one and struck out two to make way for Craig Kimbrel in the ninth. The flamethrower got Adam Jones to line out to right for the first out of the inning. Then he proceeded to strike out the next two batters he faced on 13 pitches, ending the game and collecting his fifth save of the season. So far in 2018, Kimbrel has yet to allow a run in seven innings pitched, striking out 10 along the way to go with just four walks. On the other side of things, Dylan Bundy was able to hold the Red Sox lineup in check for a little while. It wasn’t until the fifth inning when they broke through for their first run of the game. That happened after Jackie Bradley Jr. reached first after grounding into a force out and stole second with Andrew Benintendi at the plate. 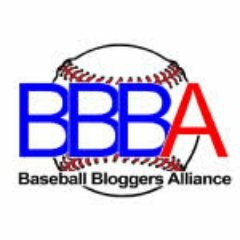 On a 1-1 count, Benintendi took a 91 MPH fastball from Bundy and ripped it down the right field line for a triple that scored Bradley from second in the process and tied the game at one. With Bundy still on the mound in the sixth, the Red Sox struck for two more runs. The go-ahead run came across with Rafael Devers at the plate and no outs in the inning. With JD Martinez already at third, a ball that got away from Orioles catcher Caleb Joseph gave Martinez just enough time to score and give the Red Sox a one run lead. Two batters later, Tzu-Wei Lin drove in Mitch Moreland from third on hard hit ground-rule double to give the Red Sox their third and final run of the day. Speaking of Lin and Moreland, the both of them put together an impressive day at the plate. Combined, they went 5-for-9 with one RBI hitting in the fourth and ninth spots in the lineup. Andrew Benintendi racked up three hits and an RBI himself. Not the most effective day at the plate, but that’s understandable given just how poor the conditions were in Boston today. Unfortunately, there will be no game tomorrow. This tweet just popped up on my timeline and I am now bummed out. The #RedSox-Orioles game scheduled for tomorrow, April 16, at Fenway Park has been postponed. Morning baseball on Patriots Day is hard to beat. I guess we will have to wait until May 17th to see if the Red Sox can finish the sweep. 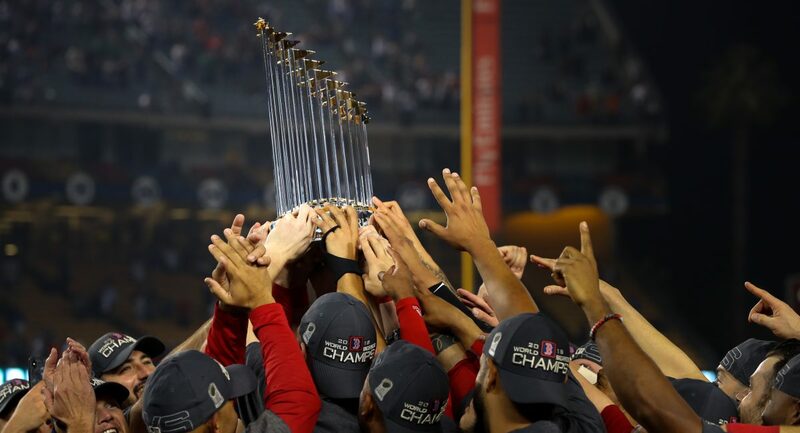 With that in mind, the next game the Red Sox will play will be in Anaheim to take on the red-hot Angels. David Price will get the start for the opener on Tuesday, and he’ll be facing off against Japanese sensation Shohei Ohtani. First pitch is scheduled for 10:07 PM ET. Previous Previous post: RECAP: A 10-3 Win over the Orioles Has the #RedSox off to Their Best Start in Franchise History. Next Next post: RECAP: #RedSox Put on Home Run Derby in Anaheim; Destroy Angels 10-1.